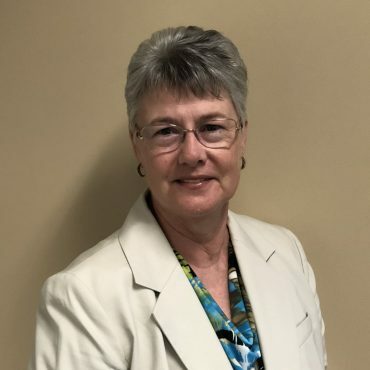 Dr. Heveron’s professional career spans over four decades, during which time she provided service in both university administration as well as information technology as it relates to colleges and universities. Among other roles, she has served as a Registrar, Assistant Dean, Vice President Information Technology, Assistant to the President, adjunct faculty, Provost and Chief Academic Officer. During her career, Dr. Heveron was also involved in fund raising at a university and with a non-profit organization, information technology consulting for colleges and universities with two companies, served on many WSCUC teams, and on both state and national boards of examiners for the Malcolm Baldrige National Quality Award. Dr. Heveron earned her B.S. Biological Sciences from UC Irvine, her M.A. Management from the University of Redlands, and her Ph.D. in Education from The Claremont Graduate University. Her volunteer work has included twenty three years of therapy dog volunteering at hospitals, libraries, nursing homes and the like; she now serves on the Board (Treasurer) of Paws’itive Teams and as an Instructor for the organization’s Therapy Dog Preparation Class. Eileen and her husband, Hank Beck, have been married for 31 years and live in Valley Center, CA with their four standard poodles, including Dexter, Eileen’s service dog. Mr. Curiel is the Director of the Teacher Credentialing Preparation Program, in the College of Education, at United States University (USU). Mr. Curiel serves as a university instructor and supervisor for credential candidates, supporting them in fulfilling their practicum experience towards credential completion. Mr. Curiel began his assignment at USU in 2011, serving as an adjunct professor within the department. Mr. Curiel is a retired school administrator, having served the San Diego Unified School District (SDUSD) for over 34 years. Mr. Curiel attended San Diego State University and began his educational career as a classroom teacher at the elementary level. Later, he became a resource teacher at both, the school site and District levels, including three years in the District’s Race/Human relations Department. 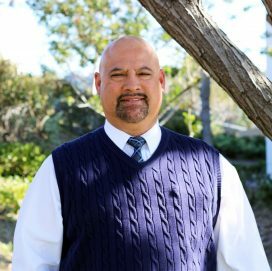 After earning a Master’s degree in Educational Administration and an Administrative Services credential, Mr. Curiel became a Middle School Vice-Principal. Two years later, he became the vice-principal of a large multi-track, year round elementary school. Two years after that, Mr. Curiel became a school Principal, serving 8 years at the elementary level and later, a total of 10 years at the middle school level. Mr. Curiel has the unique perspective of having been a teacher and administrator at both the elementary and secondary levels. Dr. Julio Garibay is an Assistant Professor for the College of Business and Management at United States University. For the last 23 years, he has been working as an IT and Business consultant for AT&T, IBM Corp. and GloStraL Consulting in San Diego, CA., designing, supervising and completing entire turnkey operations in U.S.A. and unfamiliar developing countries, including: México, Philippines, Cambodia, China, Ghana, Tanzania, Congo, Guatemala, Paraguay and Brazil. He received his Doctor of Business Administration degree in 2008 from Alliant International University’s Marshall Goldsmith School of Management, working in the area of Strategic Management and the Information Technology industry. He also has a Master of Science in Information Systems Management from National University in San Diego, CA, and a Bachelor of Science in Computer Science from Baja California State University, Ensenada, B. CA. 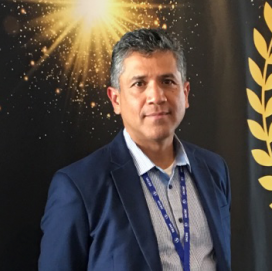 Once he earned his degree and as a transition to academia, he started as an Adjunct Faculty Professor, teaching and developing curriculum for MBA, MS, BS and AS courses at educational institutions located in San Diego, CA. U.S.A. and the State of Baja California, México. Dr. Garibay is the author of the book “Information Technology Convergence, Innovation Management and Firm Performance” and his current research interests include Decision Support Systems, Business Intelligence, Information Systems and Alignment between Business and Information Technology Management Strategies.